One week from today, Apple's smartphone goes on sale from the nation's fourth-largest carrier. But you can order now. 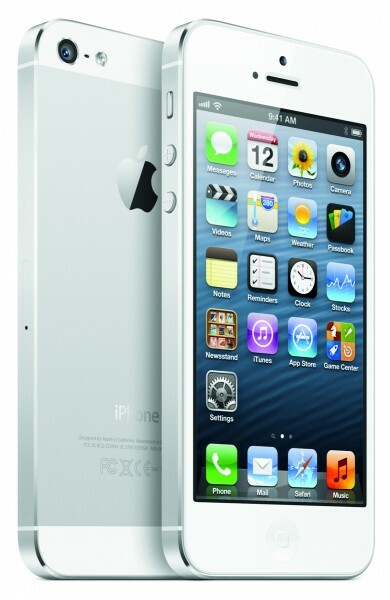 The 16GB iPhone 5 is available with T-Mobile USA's new Simple Choice, no-contract plan. The device is $99.99 upfront, plus tax, and $20 per month for 24 months -- or $579.99 outright. Full price elsewhere: $649. The 32GB is $199.99 and the 64 gigger $299.99 upfront and 24 monthly payments, or $679.99 and $779.99 outright, respectively. Full price elsewhere: $749 and $849. By several measures, T-Mobile offers the most-affordable iPhone 5 around, but it's the odd duck of the flock. Apple only sells devices for AT&T, Sprint and Verizon from its online and retail stores, which is advantageous sales placement. Perhaps T-Mobile's status will change after official sales start, but I suspect the carrier will join regionals selling iPhone in the backwater. C`mon, none of the big three would want T-Mobile's model listed alongside theirs for about $100 less. Money down is another odd thing. Upfront pricing from the big three for 16GB, 32GB and 64GB iPhone 5 is $199, $299 and $399, with 2-year contract. T-Mobile not only asks for less at time of purchase, but there are no contracts, and no financing charges to pay off the phone. So when full price is reached, the bill goes down by $20 a month. With, say, AT&T, your bill stays the same after the contract commitment is complete. Contract-free is another way this odd duck stands apart from larger rivals. They sell you iPhone at a lower subsidized price, with contract commitment. My soon-to-be old carrier, AT&T, charges considerably more, particularly for data, and plan is required for smartphones. Minimum: $20 for 300MB per month (cough, cough). AT&T's cheapest family plan starts at $59.99 per month for 550 minutes. For two lines, with minimum 300MB data for both phones ($40) and unlimited family messaging ($30) monthly bill is $129.99 for iPhone 5 (two). T-Mobile is $80 ($50 for first line and $30 for the second) and comes with unlimited talk and text and 500MB high-speed data and unlimited slower speed through end of the monthly bill cycle. Adding monthly fee for two iPhones, brings T-Mobile to $120, but for more of everything. AT&T's Mobile Share plan, with unlimited talk and text would be $130 ($40 for plan and $45 for each phone). T-Mobile's bill would go up $20 a month ($10 for each line) for 2.5GB data and tethering or $140 for unlimited data. That 2.5GB is for each line versus 1GB shared from AT&T. Going up to the 4GB shared plan raises AT&T's monthly commitment to $150 ($70 for the plan and $40 for each phone). Remember, if you bring your own phone, then T-Mobile is $40 less per month -- that's $100 for 2.5GB data for each of two lines or $120 for unlimited. I ordered one black and one white 16GB iPhone 5 this morning, setting me back nearly $293, thanks to California's outrageously high sales tax (yeah, I know it's a pittance to many Europeans). The handsets are for my college-age daughter and 91 year-old father-in-law. I already moved over three lines. My total bill, even paying $40 a month for two iPhones, should be about one-third less with T-Mobile compared to AT&T. One more odd thing: T-Mobile's iPhone 5 includes the 1700MHz, which along with 2100MHz, supports the carrier's HSPA+ network. Am I confused. No 1700MHz is the reason other iPhones unlocked and brought to T-Mobile can't use the high-speed data network. If Apple can add the radio now, why not years ago? There is also 4G LTE, but coverage is limited to a handful of cities, for now.